According to linguists, the Indo-Iranian split that gave rise to Avestan and Sanskrit happened around 2000 B.C. So can’t be more ancient than the 2nd millennium B.C. These dates were invented out of thin air by oriental indologists in the 1800s AD. I think these texts and languages (Avestan, Sanskrit) were a lot older. Voltaire thought that Vedic Sanskrit might be the proto Aryan language. In the 18th century, Voltaire wrote:”I am convinced that everything has come down to us from the banks of the Ganges, – astronomy, astrology, metempsychosis, etc… It is very important to note that some 2,500 years ago at the least Pythagoras went from Samos to the Ganges to learn geometry…But he would certainly not have undertaken such a strange journey had the reputation of the Brahmins’ science not been long established in Europe. Slapstik disagrees a bit with me (and I would love to learn more about why); but I partly blame Ferdinand de Saussure (founder of modern semiotics and structuralism . . . a later offshoot of which is now called post modernism) for the inaccurate dating of eastern history and the current language dating trees. Many leading scholars in the best Sanskrit departments in India-such as Delhi University–believe that the Vedas are more than 6,000 years old. Some believe they are far older than that. For reasons that I don’t understand, western oriental indology disregards the many history records found in South Asia. Almost all the modern Sanksrit texts in south Asia are unanimous that Krishna died 3102 BC, including different texts found in many different regional recessions. In fact many Hindu calendars start from that date. The records of many ancient lineages, mathas and ashrams start from 3102 BC. For example they might say we were founded 2300 years after the death of Krishna. While there are many records of the events around the lifetime of Krishna; the records from before Krishna’s time have mostly been lost. The Ramayana was far more ancient than Krishna, although the dates are not known. Many Hindu scriptures were ancient beyond reckoning and time during the events of the Ramayana. The fundamental problem for the Indologists in accepting the great antiquity claimed by ancient Indian tradition, was the fact that 18th century and most of the 19th century Europe was under the Church doctrine that earth was only 6000 years old. Please elaborate on Chinese and Tibetan texts regarding Buddha. According to some South Asian traditions there were many Buddhas, with Sakyamuni Gautama Buddha being a later Buddha. Some Hindus believed that technically a previous Buddha was the 9th Avatar of Lord Hari Vishnu Narayana, although Sakyaumuni Gautama Buddha was also great beyond reckoning and imagining. Slapstik, look forward to your perspectives. Why do you believe the interpretation of negation isn’t consistent with the Vedas. While only 12 Upanishads are now popular, at one time 108 Upanishads are thought to have been studied. Most of the Vedic corpus has been lost. In addition, concepts similar to negation exist in other ancient texts such as Agamas, Puranas, Yoga Vashishta. According to Chinese texts Buddhism came to China about a 1000 years after the Paranirvana of Buddha. Buddhism is commonly believed to have come to China after the western regions became known to the Chinese in the latter half of the 2nd century BC. This and other Chinese traditions put the date of Buddha well before 1000 BC. The Tibetan tradition has several dates for Buddha spanning several centuries, the earliest of which is around 2400 BC. According to the Puranic tradition, Mahapadma Nanda came to power 1500 years after the birth of Parikshit which was in 3138 BC. “Therefore The Nanda empire arose in 1638 BC and Maurya a 100 years later in 1538 BC. Buddha’s birth according to this comes around 1800 BC” You are correct about this account, I think. However, which Buddha was being referred too? A question for everyone. Some western orientalist Indologists have said that Buddhism predates Krishna, because Krishna talks about “Brahma Nirvana” in the Bhagavad Gita chapter of the Mahabharata. Does anyone agree with this and if so why? Is there a difference between what Krishna means by “Brahma Nirvana” and what Buddhists mean by “Nirvana”? The Puranas only talk of the historical Buddha. The concept of multiple Buddhas has come into prominence much later after the demise of Gautama Buddha. 1. The dating of ancient India is based on the sheet anchor of Chandragupta Maurya’s date which is based on assuming that Sandrocottus of Megasthenes’ account was none other than the Maurya king. However, if one looks into this subject in detail, it becomes clear that the Greek accounts tally much more with what we know of the Gupta period than the Maurya period. If Guptas date to the 4th century BC, quite naturally the Mauryas dating will be pushed back several centuries earlier and with it the dating of Gautama Buddha even further. 2. The traditional date of Adi Shankara is 509 BC. But it is also known that Shankara was quite influential in the demise of Buddhism. Adi Shankara clearly lived after Asanka & Vasubandhu and their predecessor Nagarjuna. Mahayana Buddhism is said to start with Nagarjuna. Now Nagarjuna was clearly several centuries later to Buddha. This also puts the date of Buddha before 1000 BC. 3. The unwavering tradition that Kaliyuga started in 3102 BC. The Puranas date the dynasties of the Kaliyuga from the date of the Mahabharata War. Therefore, if we take the no of years given in the Puranas from the date of 3138 BC, clearly the date of Buddha becomes much older. I had started a thread on this subject a few years ago on the historum forum. You will have to register on the forum before you can read the thread. Thanks very much for sharing Jaydeepsinh Rathod. Would you like to post an article here? In retrospect, Gautama Sakyamuni Siddharta Buddha might be older than Gaudapada. All your assertions and conjectures are reasonable. “The Puranas only talk of the historical Buddha”. This refers to the 9th Avatar of Sri Hari Narayana Vishnu. In some cases prophesied before his birth. Some Hindus believe this technically refers to Gautama Sakyamuni Siddharta Buddha. Others believe that the Puranic Buddha was a previous Buddha; albeit Gautama Sakyamuni Siddharta Buddha is one of the greatest and highest spiritual masters of all time. Part of the issue is that Buddha himself is thought to have said as much. It wasn’t until millenia after Buddha’s passing that some started to regard Buddhism as a unique faith rather than a family of faiths inside Sanathana Dharma. For example the Buddhists of South East Asia and Sri Lanka were Hindu Buddhists. The Mahayana Buddhists, Chinese Buddhists and Japanese Zen Buddhists retain many Hindu trappings. Buddhists retain a seat in the Mahanirvani Akhara, founded by sage Kapila and continue to play in important role in the Kumba Mela and internal events of Hindus as an insider. Dear Slapstik, I heard that Buddha said that Shunyata (zero) isn’t pure nothingness, albeit that is the closest descriptor there is to it through words. Shiva here doesn’t refer to personal God or impersonal God but that which cannot be described. Chiddha Ananda (combined into chiddhananda) is used because there is no Ananda or no bliss. This can be translated as the bliss that transcends the bliss of Samadhi. One of the lines is that I don’t exist. The last line is that I am neither liberated nor bound. High-tech airplane-based lidar mapping tools need to be used by archaeologists in South and Central Asia (and Iran). Currently archaeology is significantly underfunded into the Mohenjo-daro and Arya civilizations. 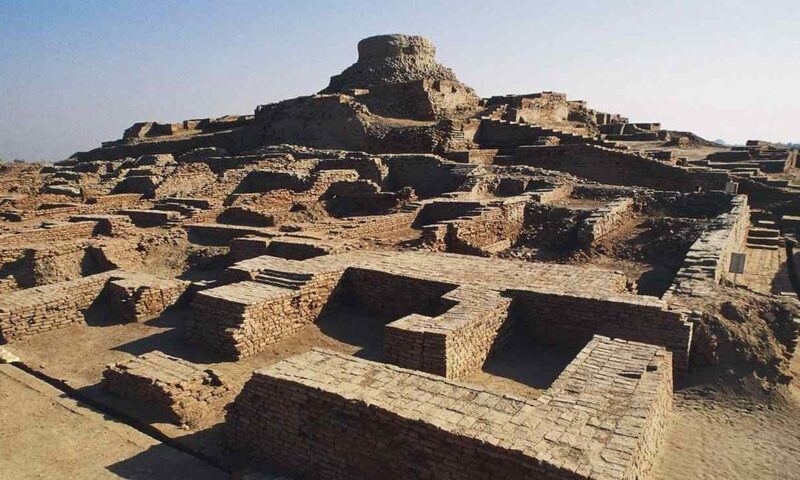 Why do some Indologists believe that Mohenjo-daro was a different civilization from the Arya civilization? – Please provide peer-reviewed scholarship for this claim. I am very sceptical of claims that even remotely imply an Aryan migration (or the now-defeated invasion) theory. First, opponents of AIT were asked to believe concocted foreign origins of Subcontinental cultures. Now, claims like yours appear to suggest that Subcontinental cultures based on Sanskrit have Iranian origins. Yours is a grand claim and requires grand evidence. Please do not cite the name “Iran” as evidence. I know of no evidence of Aryan conquest or Aryan migration Ek Chakkar. 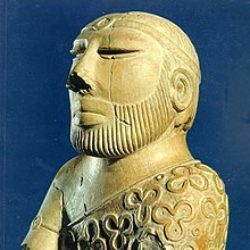 Both the idea of Aryans coming from the west and the “Parashuram theory” that people fled from South Asia to the rest of the world. Rather my opinion–subject to change based on additional information–is that historic Bharat was geographically very large. In much the way elite American universities are respected and emulated around the world; Sanskriti culture, civilization and spirituality was revered and studied across much of Asia. There is a twelve volume english translation of the Mahabharata that I have studied carefully. In this there are references to many parts of Asia. Kamboja is today called Uzbekistan (and perhaps Turkmenistan, Tajikistan). Kamboja included what some people call Baktria. An Indo-Iranian people. Bhishma frequently praised Sudakshina as one of the best fighters and generals in the Kurekshetra war and as a great Arya Kshatriya, which suggests that Kamboja was part of Bharat at that time. To give another example, look at the description of how Bhima, Arjuna, Nakula and Sahadeva conquer the world. They go to multiple distant lands on ships (perhaps Thailand, Malaya, Sumatra, Java, Cambodia, Vietnam). They conquer Tibet and Burma (Bhagadatta . . . the 4th best general in the Kaurava Army lived beyond the Himalayas), based on my interpretation of the texts. Kalayavana’s army was several million strong and they ate up both sides of many rivers as they walked. Ek Chakkar, I look forward to learning from you. Please keep contributing. With respect to ancient Pharsi and Avestan, they sound very similar to Sanskrit and have mantric sound power. Many believe they worshiped the Daityas and Danavas before becoming Zoroastrian. What do you think? I think that Arya culture, civilization, religion, spirituality, technology formed over much of Asia, from Cambodia, Laos, Thailand, Java, Sumatra, Java, Iran, Uzbekistan, Turkmenistan, Tajikistan, Afghanistan, Tibet, Sri Lanka, Nepal, Sikhim, Bhutan, Bangladesh, Pakistan, Burma. Maybe other countries such as Vietnam, Philippines (a Phillipino recently insisted to me that many thousands of years ago Philippines had a large Hindu community), and other countries. I don’t know. Arya is not an ethnicity but an extremely divine culture that has existed across many ethnicities. Sanskrit might have formed as an open source project across much of Asia, although I don’t know for sure. Interestingly 1 hour 9 minutes in, Rajiv Malhotra argues that Bengal might be close to lost and was doing worse than Pakistan. Rajiv might be right. What does everyone think? I find that to be a leading question. It implies that Pakistan is in some sort of abyss, whereas I’ve found it to be doing better than many parts of India in certain measures of human dignity. We still have lots to learn from each other. WRT to Bengal, it would appear to be holding its own and outperforming the other states in its neighbourhood according to major HDI indices. If we are speaking about the social life of Bengal and whether they are still imbued with the culture of classical indian civilisation, not only would I say that they are performing quite well, but that the rest of us have a lot of catching up to do. I realize many people want to draw a causality between their experiments with elected communist government and leftist revolutionary sympathies and some sort of social decay, but the irony is that you will struggle to find another people who are as deeply engaged with our literary and philosophical heritage, from antiquity to modern. Furthermore, as someone from the south, I rarely come across people from other states that take an interest in learning local cultural traditions and language the way bengalis do, when there is no livelihood/employment incentive. They do it from a pure love of culture, even as they retain a good (inordinate! )measure of pride in their own. I’d much rather discuss the Indian epics or Devi Mahatmya with someone with the critical distance to search for meaning in them, to experience them with the openness that people in antiquity would have (which is my guess), rather than with someone for whom these texts are just identity markers they must defend as an act of obedience to the larger group. In my experience, people who don’t enjoy literature tend fall into the latter category of using these classical texts as instruments to achieve temporal advantages. I worry much more about our self-regarded defenders of hinduism in Gujarat, Rajasthan and Haryana. A greater threat to hindu civilisation is the dissipation of spiritual vigour that comes with the worship of money and power within the religious discourse. What we are increasingly seeing is a kind of hindu analog to the prosperity gospel in evangelical christianity. girmit, the Pakistani moderate, liberal, reform, secular, agnostic, atheist and minority muslim community are further along in Pakistani public opinion now than 5, 10, 15 or 20 years ago. The Islamists are losing in the court of Pakistani public opinion. Freedom is increasing slowly. The trend lines are positive, although there is a very long way to go. By contrast good Bangladeshi muslims have lost heavily since the 1990s. Bangladeshis tell me that much of the nonmuslim population has fled Bangladesh since the 1990s. Islamists are much stronger now. Bangladeshi muslims were among the most moderate in the world in the 1990s. No longer. Bangladeshi muslims had some limited freedom in the 1990s. Most of that is now gone. Bangladeshi muslims now have little freedom of art, dance, music, poetry, speech, thought, intuition and feeling. Their imams, journalists, politicians and other leading sources of love and light are regularly attacked or killed by Islamists. Bangladesh has a growing Islamist terrorism threat. Bangladeshi sufis and twelvers are increasingly under siege and keeping a low profile. This is starting to seep into West Bengal. Post modernist mind control and the colonization of the mind are removing Bengali freedom of the mind and soul. Bengal remains one of the greatest spiritual powerhouses in the world with many great sources of light. Not worried about spiritual decay at all. The only exception is that it isn’t as safe to travel to Sufi places in West Bengal and Bangladesh and the Sufis are increasingly on the back foot. If this is true of Sufis, this is probably also true of twelvers. Still Bengalis have major growing problems not listed above. This deserves a stand alone article. Wth progress are you talking about, unless you mean Islamic demographic progress? Prashant, I agree that European Enlightenment came in significant part from the east. Would you like to write a detailed article on this and have it posted on Brown Pundits? I hope to write articles about this too.